These are the words our residents use to describe the Home of the Good Shepherd. We are dedicated to enhancing the quality of life of our residents and promoting independence and individuality. A guiding principle for all that the Home of the Good Shepherd staff do for our residents is joy in service. For our kind, knowledgeable, and supportive staff, the highest ideals of compassion, dignity, and trust are of the utmost concern when interacting with our residents, families and visitors. Call 518-584-3317 for more information. At the Home of the Good Shepherd we offer our residents superior quality, professional care in a warm and inviting assisted living environment. Our size allows us to provide each of our residents with individualized services to meet their specific needs while encouraging them to remain active and involved with their lives and in the Community. 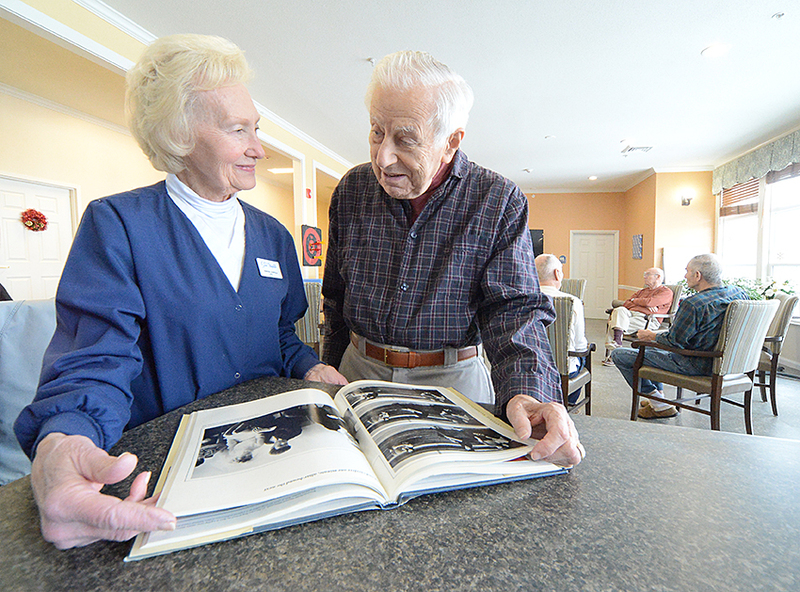 Our Enhanced care allows residents to “age in place” as we provide Skilled Nursing tasks and Nursing Assessments in our private home like environment. earning a proud reputation for providing the highest level of skilled, attentive care. showering, and feeding; skilled nursing tasks and medication management; blood glucose monitoring and catheter/ foley care. Home of the Good Shepherd 400 Church St., Saratoga Springs! Meet the Easter Bunny! For more information, contact Holly Desnoyers - 518-450-7360 x126. I never realized how isolated my life had been when I lived in my own house. I have made so many wonderful friends and have so much to do, I feel like a kid at summer camp. Every day is interesting and exciting. And the staff is good folks. I couldn't be happier. The care provided at the Home of the Good Shepard has been nothing less than stellar. The staff is compassionate and helpful at all times. My family and I are very grateful to have a wonderful place like the Good Shepard to call home for my mother.